I love this photo taken in 'Death Valley' by Vu Bui. It says what I want to say this Tuesday of Holy Week 2010. What does it evoke for you? 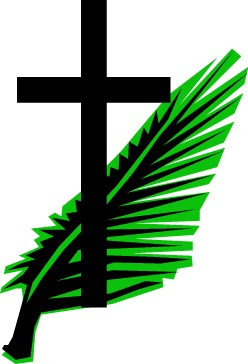 God our Saviour,whose Son Jesus Christ entered Jerusalem as Messiahto suffer and to die,let these palms be for us signs of his victory;and grant that we who bear them in his namemay ever hail him as our King,and follow him in the way that leads to eternal life;who lives and reigns now and forever. Amen. It's the Feast of the Annunication, so here's an artist's interpretation of the visit of the angel Gabriel to a young girl called Mary. I like this painting by Henry Tanner. 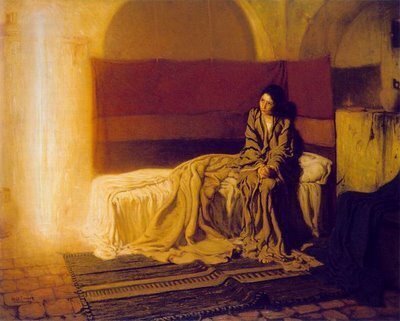 I love the way the angel is indicated by light which is also reflected in Mary's face and the covers of her unmade bed. "We beseech you, O Lord,pour your grace into our hearts,that as we have known the incarnation of your Son Jesus Christby the message of an angel,so by his cross and passion we may be brought to the glory of his resurrection;through Jesus Christ your Son our Lord,who is alive and reigns with you, in the unity of the Holy Spirit,one God, now and for ever. Amen." 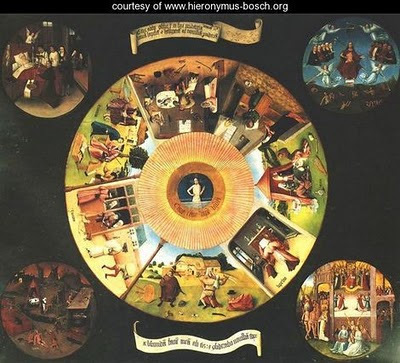 Hieronymus Bosch didn't have blogging in mind when he painted his oil panel of the Seven Deadly Sins. I read a post on Lesley's Blog this morning that said Blog Envy is one of the seven deadly sins of blogging. That led me to wonder what the other 6 might be? 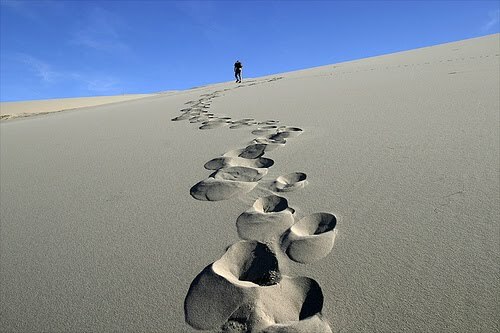 Lesley's post was about envying the size of readership of other people's blogs and poses the question - does it matter? I think it depends why you blog. If you blog as a marketing tool, then the more people from your target market who read the blog the better. Some people keep their blogs totally private so no-one else can read them. I'm still not sure why I started blogging. I think I see myself as a seed sower, scattering seed broadside. If any of my blog seeds take root and grow somewhere - that's great. If they don't...oh dear..here creeps in blog envy! That led me to wonder what the other 6 blogospheric sins might be. 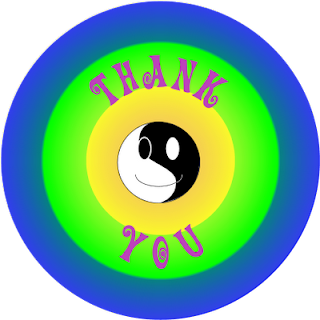 What do you do when someone thanks you profusely for doing something you know for certain you didn't do? This happened to me the other day. I was overwhelmed with the depth of the woman's gratitude. As I knew this was totally underserved, I suggested she had mistaken me for someone else. She was adamant that she had never forgotten me or what I did for her on the occasion of (X). In the particular circumstances it was kinder not to argue the point. She did not believe it hadn't been me all those years ago and she really needed to say that thank you. I didn't deserve it but another woman (name unknown) did or does. Perhaps I'll find out who one day. The incident reminded me that giving thanks is often more important than being thanked. What do you think? In the UK tomorrow is 'Mothering Sunday'. Many mothers will act surprised and pleased when their young children (perhaps helped by father) appear early in the morning with 'breakfast in bed for Mummy'. As my children have all long fled the nest, that doesn't happen any more, although they may produce other delightful surprises. I have kept one or two of my children's early attempts at surprises for me - not the breakfasts I hasten to add. On my study notice board is a piece of embroidery by my daughter, which she had made into a card, not long after she had mastered joined-up handwriting. This came as a genuine surprise - she had made this secretly in her bedroom - perhaps the first embroidery she had done without my (or a teacher's) help. It's very special for me.